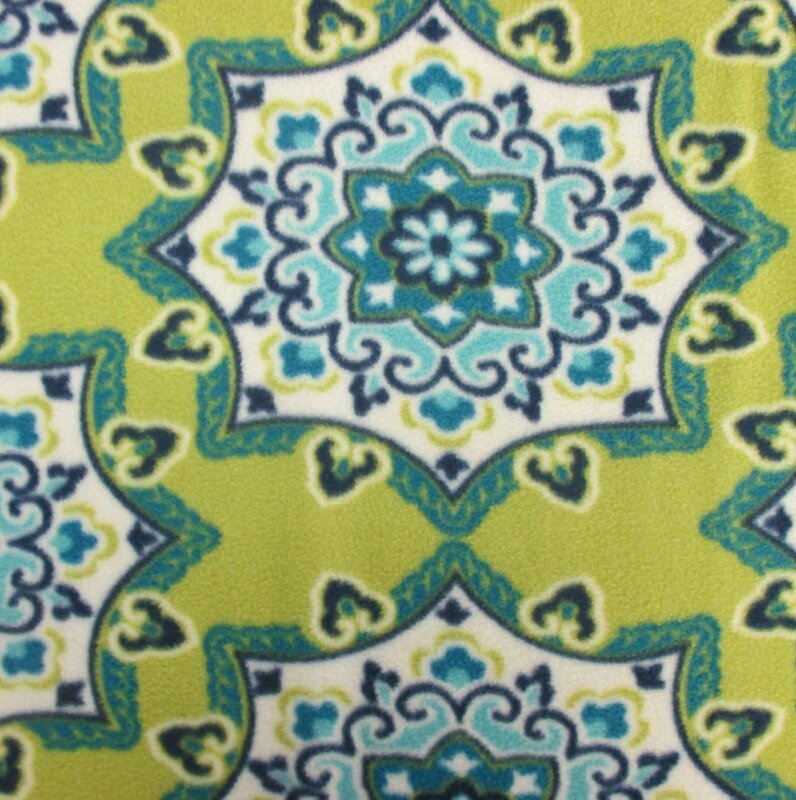 A large print fleece, this beautiful design has greens, blues, and white on a lime green background. 100% Polyester. 58"/60" Wide.